Advent Contracting & Handyman Service has been a leading specialty contractor in Northern Oregon for over 10 years. Our niche is helping those who have custom projects. We specialize in everything from painting to a full remodel including any type of home repair and preventative maintenance. From small jobs to large projects we have the experience, training and dedication to ensure a project’s success. Interior/Exterior: Brush/trim/cut, roller application, masking, spraying, color matching, etc. Install/replace/removal/adjust, toilet, sink, P-trap, faucets, spouts, valves, install/removal/replace, garbage disposal, tub/shower, shower doors, piping, copper, PVC, ABS, sprinkler system, etc. Repair, hang, tape, coat, sand, texture, finish, cracks, seams, holes, popcorn texture removal, etc. Switches, receptacles, breakers, fuses, re-wiring, ceiling fan assembly/install/removal, light fixtures, new hardwire, conduit, test & replace GFCI, etc. Tile, linoleum, pergo, VCT(vinyl composition tile), vinyl, laminate, bamboo, marmoleum, install/repair, etc. Repair/install/removal, cut, set, backer board, grout, etc. Repair/install/removal/replace, sliding door, closet doors, entry/exit doors, jamb, install/repair/replace/re-key lock deadbolt & lock set, etc. Install/repair/replace, flashing, casing, sash, trim, sill, etc. Repair/replace/install, prepare, paint, stain/treat, etc. Plan/install/build/remove/replace/repair, deck, fence, gate, railing, framing,trim, siding, soffit, facscia, counter top, crown molding, wainscoting, etc. Trust Advent Contracting and Handyman Services to repair, refresh or remodel your home. We value honesty, integrity and hard work and pride is taken in our work. Our work is always of the highest quality. Our work ethic is very simple, we treat our clients the way we would want to be treated. 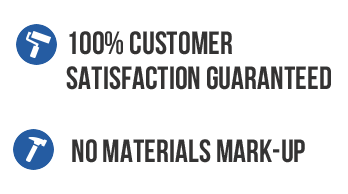 This simple principle is why we have satisfied customers who come continue to use us for years on end. For larger projects, we use only the most trusted, highest quality pre-screened sub-contractors that we have worked with in the past. Estimates are provided FREE of charge. All work is backed by 2 high standard guarantees. Ken Quye & Advent Contracting painted our house and did a wonderful job in much detail, his professionalism, experience and timeliness went beyond our expectations, we completely endorse Advent Contracting and are customers for life.